The mid-winter months of January and February bring their own style of monochromatic beauty to Paris. Naked trees create stark silhouettes against the well-known monuments, the parks and gardens are hushed and at their most soothing, and cloudy skies reflect a pale sun onto the cream-colored Haussmann buildings. I find it exquisitely charming. 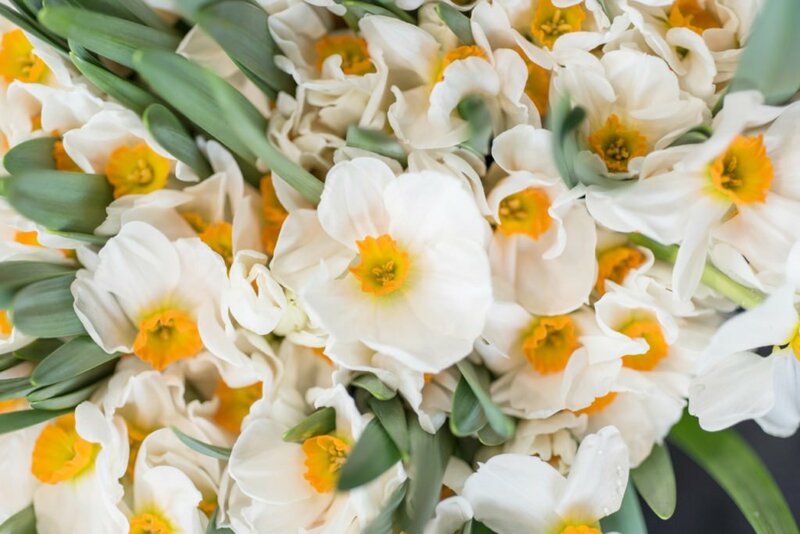 But some days I crave a splash of color and one of the loveliest ways to bring that to a Parisian winter is with the brightly-hued flowers that are abundant in the markets and floral boutiques, even on the shortest, chilliest days. 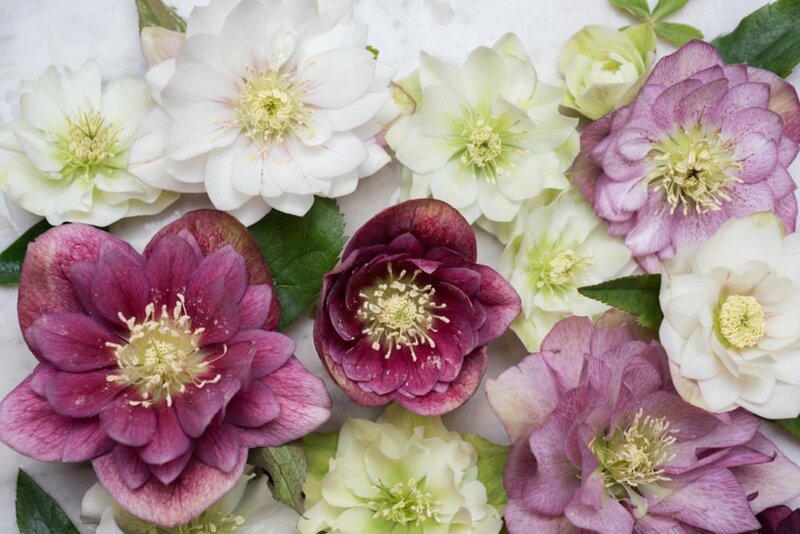 Here are six of my favorites that can be found on an invigorating stroll to your nearest marché or flower shop. 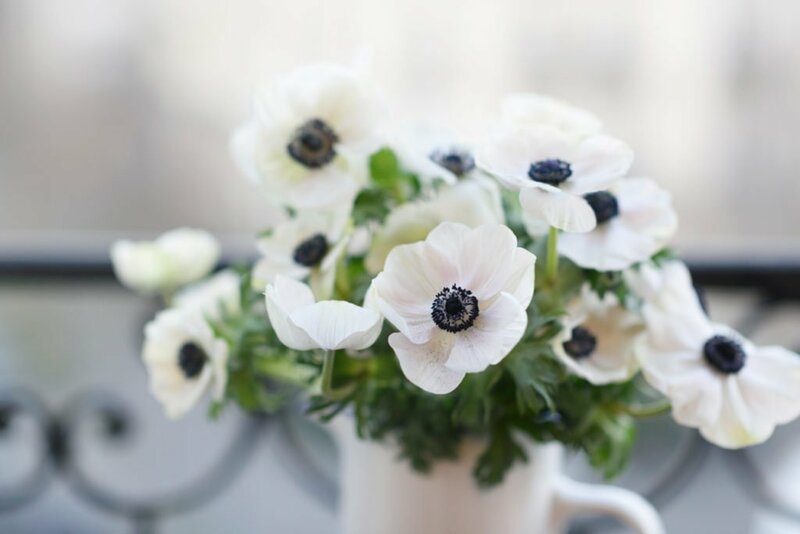 Create a bouquet for your cozy Paris Perfect apartment that celebrates the beauty of winter but also heralds the spring that is quickly approaching. My favorite bulbs, these stalwart little soldiers of early spring never fail to cheer with their sunny hues. Also look out for them in the parks and gardens of Paris around late February – they’re usually the first signs of spring to pop up from the ground! 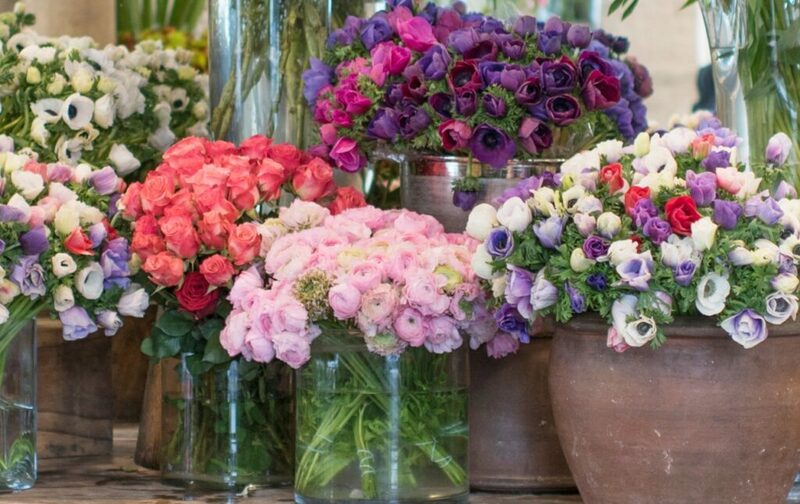 Perfect, rose-shaped flowers in pinks, whites and neons add instant romance. 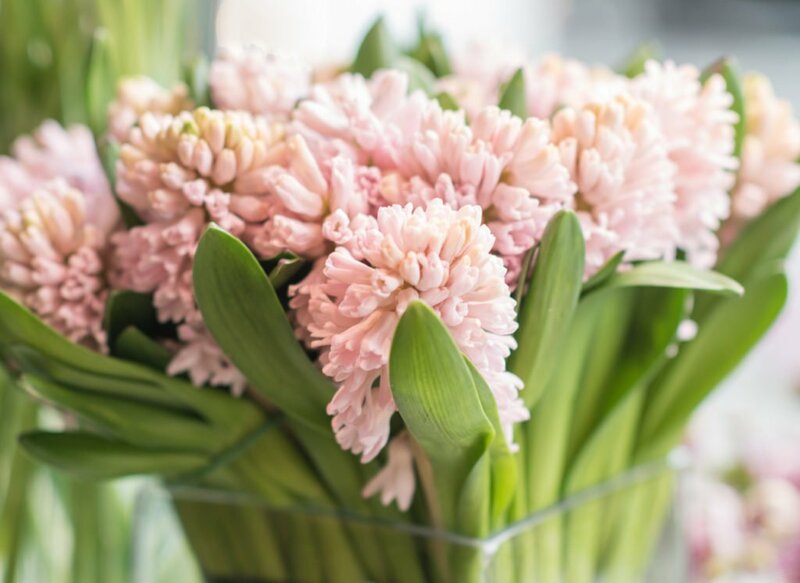 A bouquet of these will fill your winter home with the best fragrance you’ll ever have this season, available in glorious pastels, rich mauves and, of course, hyacinth blue. 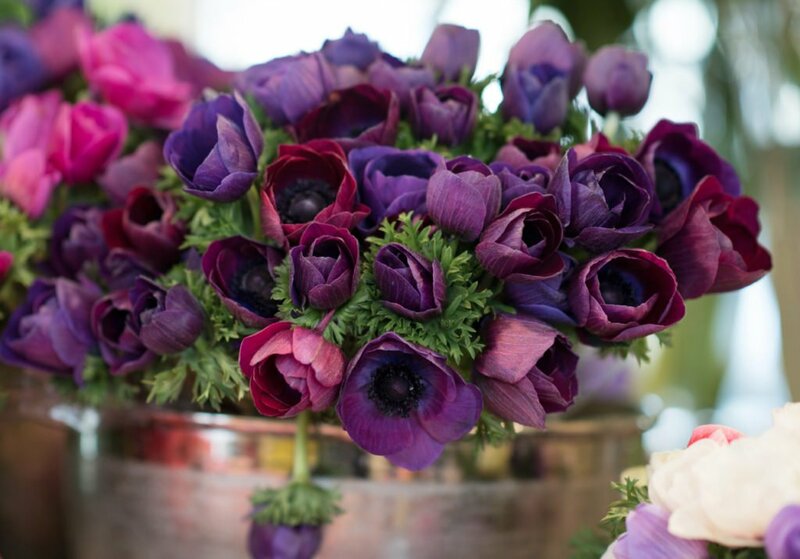 Delicate, tissue-paper petals punctuated with deep navy/black centers edged with frilly stamens, most commonly available in warm whites and deep purples. 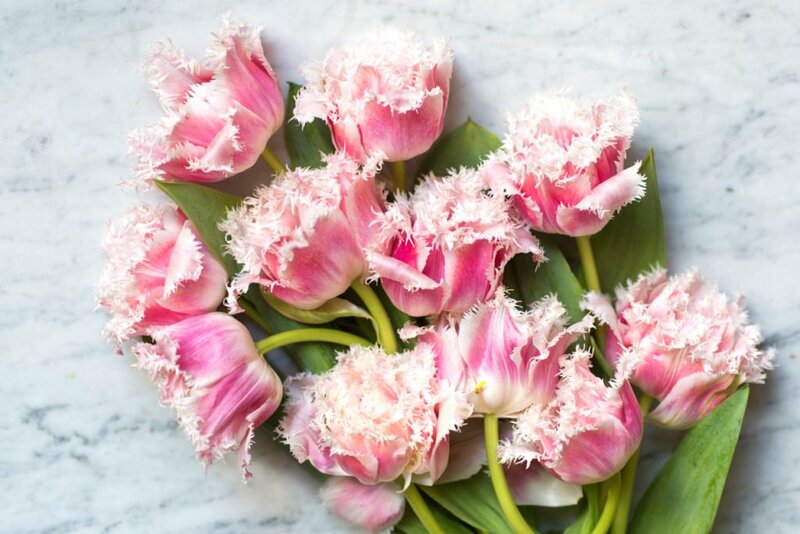 Starry, jewel-colored and sturdy blooms that are best presented with stems cut close to the flower and floated in a pretty ceramic bowl as a centerpiece, where they will last a week or more. 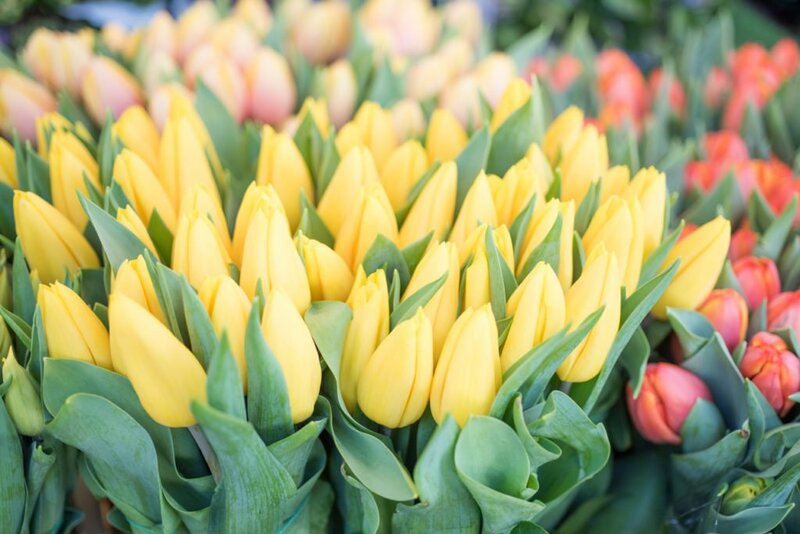 With so many varieties and colors of tulips to choose from, you can select a different one each week throughout the winter! 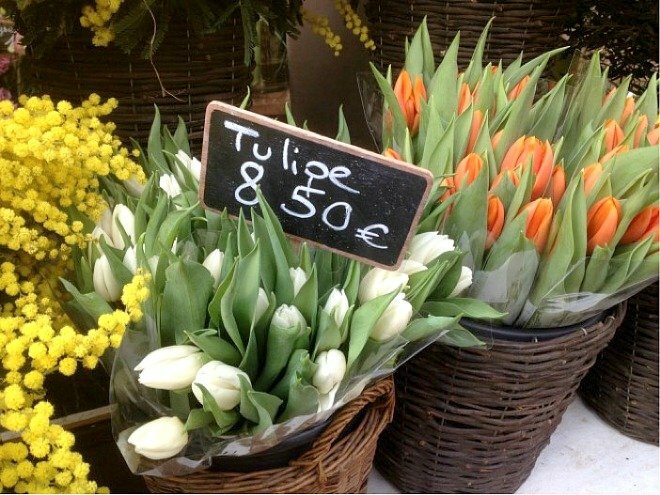 I hope this inspires you to explore the markets and abundant flower shops in your local Paris neighborhood for these seasonal beauties. 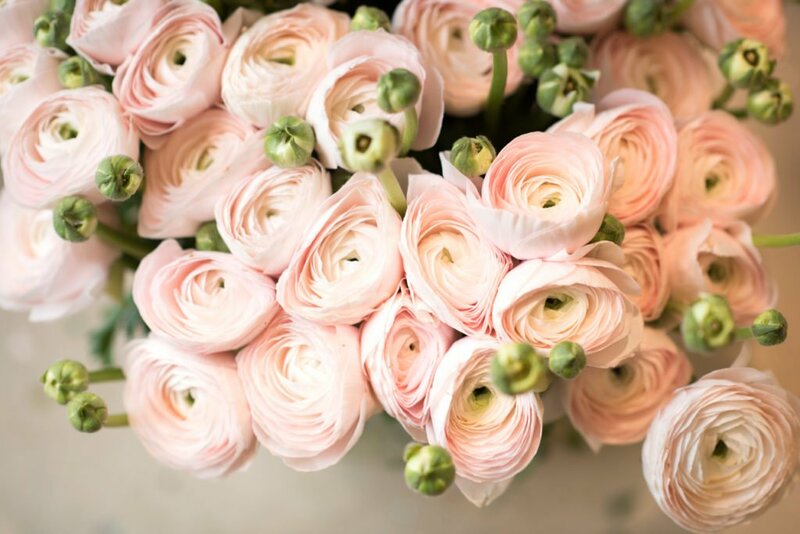 Combine them with the always-available roses into a luscious arrangement, sit back with coffee and a sweet Parisian treat, and revel in the tranquility of the season. 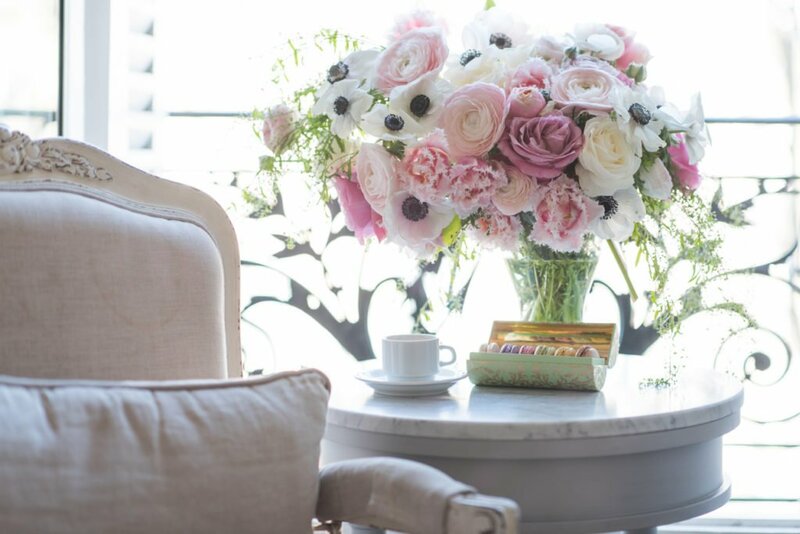 A gorgeous flower arrangement by Georgianna inside the Jasnieres apartment. 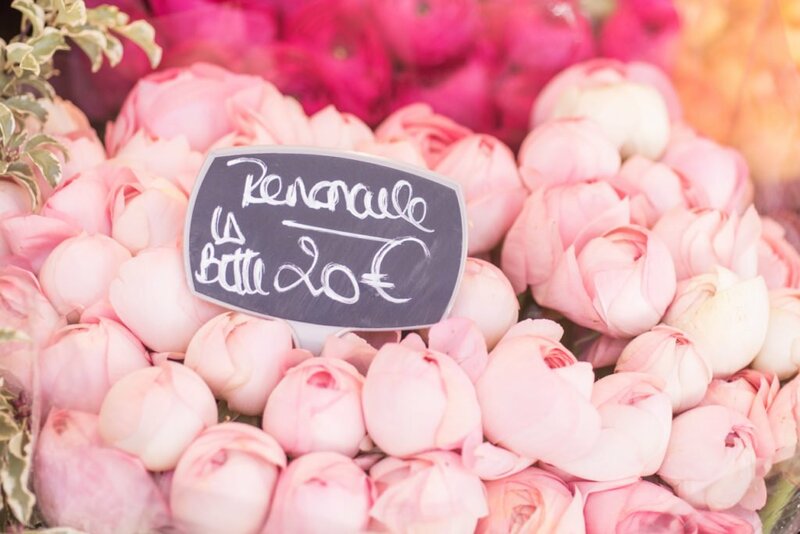 Georgianna Lane is an author and photographer with a passion for flowers, travel and Paris. Her newest book, Paris in Bloom, a gorgeous floral tour of the city, can be ordered here. Paris in Bloom from Georgianna Lane on Vimeo. NEXT: Book Now for an Exceptional Valentine’s Day in Paris – With 25% Discounts & Romantic Extras! Posted on Wednesday, January 18th, 2017 at 7:17 pm in Parisian Living. You can follow any responses to this entry through the RSS 2.0 feed. You can leave a response, or trackback from your own site.